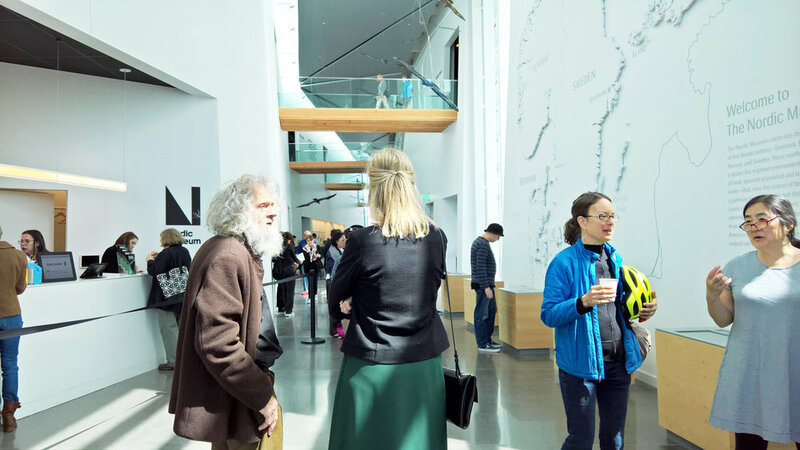 Temporarily in Seattle, I could not believe my eyes...when I crossed a street and saw the new Nordic Museum holding its first official events. I practically cried as Nordic visitors walked by, speaking their native languages. It's like being near my grandparents again. I knew I had to attend the opening ceremonies. A beautiful speech by the President of Iceland, Gudni Th. Johannesson; a warm message from Her Royal Highness Crown Princess Mary of Denmark; thoughtful words from Her Excellency Karin Olofsdotter, Swedish Ambassador to the United States; and more esteemed presenters made this experience special. The handcrafted door handles, at the main entrance, mark the beginning of a meaningful journey into the Nordic world. 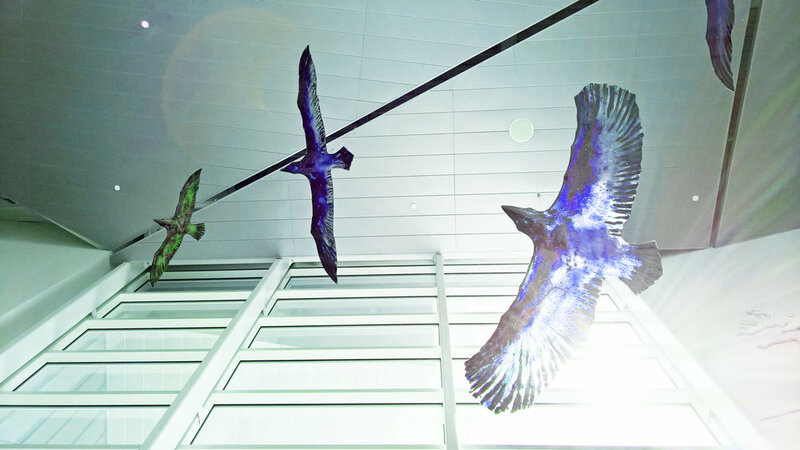 Upon entering, it was an absolute delight to see Trondur Patursson, the artist from the Faroe Islands, who created the glass bird sculptures gliding from the museum's ceiling. I can only imagine how these glass sculptures might change with the light of each season. There was so much to see. This was one of my favorite pieces of Swedish art. And this was my favorite display in the gift shop, items one can view or purchase, at the brand new Nordic Museum in Seattle. A delightfully calm place to stop.